One of my favourite parts of childhood was receiving a new book. Clothes and toys were alright, but there was something about receiving a new book, especially one that had an inscription written on the inside. My children usually receive a new book on their birthdays and at Christmas and I've also decided that family holidays are another great time to gift them a book. A fresh new book to celebrate and relax with. As I've said before, last week we spent a couple of nights at Noosa. This was our very first holiday together as a family. To celebrate we brought the children a book each. For Little Miss, written and illustrated by Anna Walker (who's soft illustrations I have adored in Country Style magazine for years), we brought I Love Holidays. 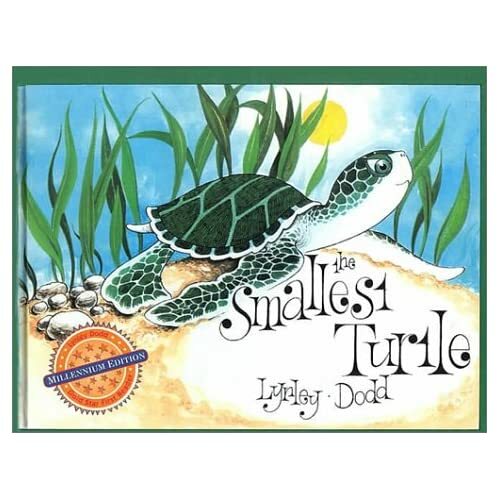 For Little Man, by my all time favourite children's author and illustration Lynley Dodd (of Hairy Maclary fame), we brought The Smallest Turtle. Both books were so fitting with our beach mini holiday and I'm sure they will be cherished for years to come. And maybe next holiday Little Man will be old enough to choose his own, making it even more special. Nothing beats a new book , those ones look great . We are all suckers for books around here. Can't wait to check out your recs. One thing we do for Halloween is to trade candy for books... We decide how many pieces of candy equal a book, and then we go to the bookstore (we have an awesome 75% off store near us) and go shopping. Less candy and more books... Perfect!